Feminine top with low neckline both front and back, ties in the back and with plenty of space under the arms, for easy arm and shoulder movement. 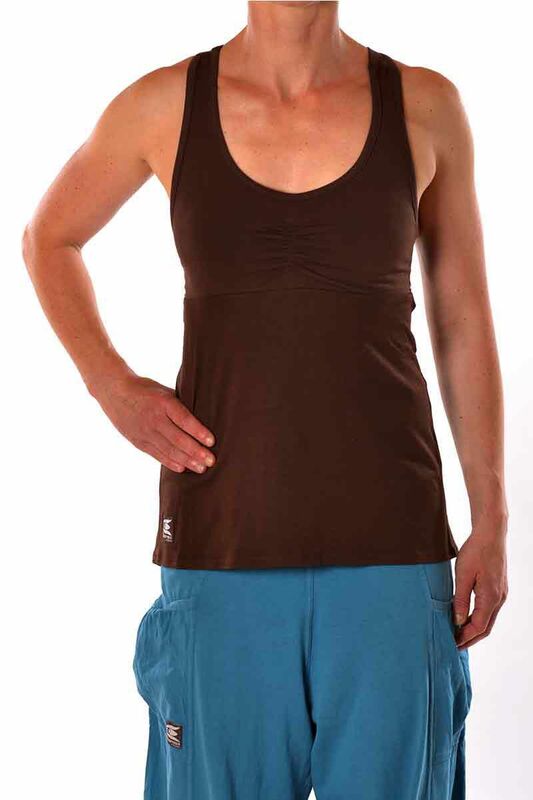 Great to combine with a sports bra in the same colour as your yoga pants because of the detail and cut out on the back. Stylish for training or everyday use.